Ciao lovelies! 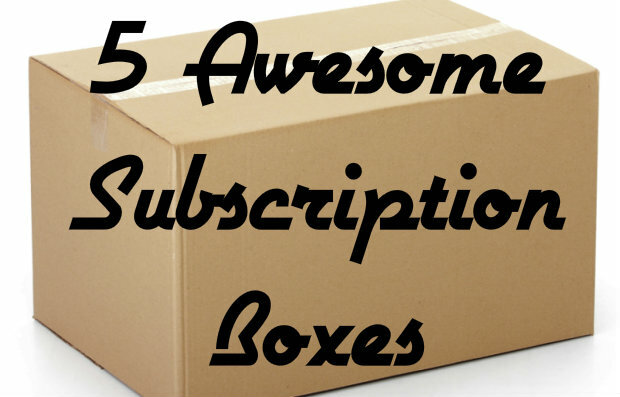 Today, I’ve found 5 of the internet’s coolest subscription boxes to show you! A subscription box, for those unaware, is a box of stuff you can get delivered to you every month/quarter of the year. Usually you don’t know what’s in them (like a surprise gift!). There are many different types of subscription boxes out there, but I chose 5 of the ones that I want to try myself (or have tried!) to show you all today! The Kawaii Box is a box jam-packed with kawaii items that you can get delivered to your door every month! This box’s items are so kawaii- which is the Japanese word for cute! You could get items from kawaii brands/mascots like Hello Kitty, My Melody, Rilakkuma, Hi-Chew, Popin Cookin and more! Each month you get 10 kawaii items in your box! I want to try this one sometime. It looks super cute! You can get yours HERE. I found out about this box via one of my fave YouTubers- MyFroggyStuff ! They reviewed this box. This box, which is apparently delivered every quarter, is jam-packed with fun activities that can help you learn more about animals! The box that MyFroggyStuff reviewed was themed around birds and bird watching, but there are other themes in other releases. I really hope to try this box one day! It looks so fun! You can get yours HERE. This box is centered around super-cute internet comic cat Pusheen! This box comes every quarter and includes a ton of adorable merchandise featuring the cute Pusheen! This is on the more expensive side of boxes, but the items I’ve seen in people’s unboxings make it look SO worth it! You can get yours HERE. This box is on the cheaper side ($10 a month). It delivers beauty samples to you monthly! This is a good way to try out new makeup without buying full sized products that you may not use. And it was started by YouTuber Michelle Phan! You can get yours HERE. This subscription box is jam packed with all sorts of sweet and savory goodies from good old Japan! With multiple sizes to choose from, you can get all sorts of fun goodies! Myself and Rakuana picked up one from FYE, he bought a premium one which is $30 and includes a drink and 2 pounds of candy/snacks and 1 exclusive item! We made a video on it that will be released soon! We give it a 4.5/5! You can get yours HERE. What subscription box do YOU want to try? Have you tried any of these before? Let us know in the comments below! For daily updates, behind the scenes, and more, you can like us on Facebook, follow us on Bloglovin, or even on Instagram! Thank you for reading! 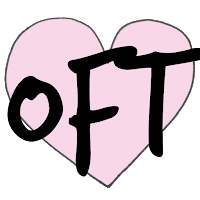 See you in our next post! 5 Super Fun Age Regression Self-Care Ideas! The Slime Trend – 2 Years Later! Is Slime still Relevant? How far has this Trend come? What is the EGL fashion/subculture? Welcome to Sustainability Month on OFT! What's In My Bag? BONUS AMV! 5 Great Gifts for Grads! UNBOXING Japan Crate Part 1!